The intended audience for this essay is neither AIDS Rethinkers nor AIDStruthers, it’s aimed at interesting in this matter people who haven’t much thought about it before, having just assumed that the public propaganda about HIV and AIDS is soundly based. I’ve appended to the pdf of my essay a Table of Contents of the book. You can see that it’s an eclectic, wide-ranging collection. Surely everyone can find some fascinating stuff there, both things to be enthusiastic about and others to get angry about. Click on the book’s image above to buy it at amazon.com. The beliefs (political, religious, etc.) of any contributor cannot be assumed simply because he or she appears in this anthology. If a contributor reveals his or her beliefs in the course of an article, that’s obviously a different matter, but simply appearing here is not an indication of affiliation. Similarly, bear in mind that no contributor necessarily agrees with the other contributors. In fact, I’m sure some would get into arguments if invited to the same dinner party. So, inclusion is not an indication of collusion. Indeed not. 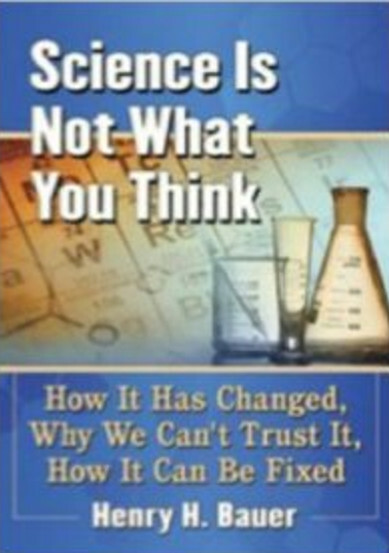 Among the other contributors I recognize a colleague in the Society for Scientific Exploration as well as an author whose book I declined to have reviewed in the Society’s Journal of Scientific Exploration when I served as Editor. 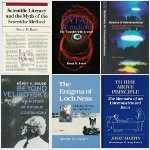 There’s also someone from the Committee for Scientific Investigation of Claims of the Paranormal, whose aims are orthogonal if not actually opposed to those of the Society for Scientific Exploration. What seems to be in common is a penchant for not accepting ready-made beliefs and a willingness to set out data and reasoning and engage in evidence-based discussion. This entry was posted on 2009/02/11 at 2:48 pm	and is filed under HIV absurdities, HIV does not cause AIDS, HIV skepticism. 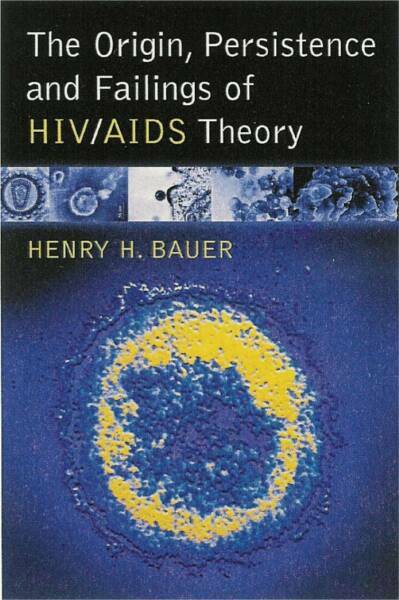 Tagged: Confession of an 'AIDS denialist', You are still being lied to. You can follow any responses to this entry through the RSS 2.0 feed. You can leave a response, or trackback from your own site. Thank you for this post, Henry. Excellent, as usual! This is of course a little circular (as they could not have determined a ‘normal negative’ prior to fixing the threshold for ‘positive’) but shows clearly that the cut-off value for a ‘positive’ reading is set arbitrarily (why not three or five times the average but four?). It is of course set so as to maximize the percentage of positive readings for ‘AIDS patients’ and minimise the percentage for ‘normal subjects’. All the others such as IV drug users and gay people fall in between with high average percentage of positive readings but that does not bother the patent applicant because he ‘knows’ that they are ‘at risk’. Table 1 in this patent application shows clearly the result that you pick up in your research on HIV tests: on average 1 out of 164 of normal healthy subjects (0.6%) will test positive on this test (and so they do in your blood donors and military recruits data), as will 60% of IV drug users, 27% of homosexual men, 80% of people with lymphadenopathy (‘pre-AIDS’) and 88% with clinical ‘AIDS’. It is a test constructed with a purpose to pick clinical ‘AIDS’ on the basis of non-specific antibody prevalence with an arbitrarily set cut-off (in fact everybody has some level of those antibodies). So no need to take this test if you do not have clinical ‘AIDS’. If you have it then the test will likely read positive (in 80% of cases), most likely picking up the physiological stress associated with the concrete health problem that you may have, but that is the extent of it! This is by no means any proof of a relation to any pathogen whatsoever! I hope you (and others) find this useful and will be able to make a link to your research in your future work. Many thanks for this exceedingly important comment. I’m reminded of how enormous the mass of relevant material is and how valuable it is to have people cooperating in bringing relevant items together. I’m also reminded of having too many things that I intend to do, and those that take less time get done first, so I never get around to doing those that take longer—sort of like my friend Jack (I. J.) Good likes to say, “The urgent drives out the important”. Some time ago in e-mail discussions among Rethinkers, I thought a consensus had emerged that the “HIV” tests are really the central issue. If so, then we should really prepare a full exposure of them. But I’ve not gotten into it because I think others are much better placed than I am to do this, both for fuller knowledge of the relevant literature and for technical understanding of the laboratory procedures — but, too, because really the Perth Group has already done it in great detail; what’s needed is a review of their work written as non-technically as possible and perhaps with a few additional points. If I may offer a further apology for neglecting this work, I’ve been fully occupied in rummaging through epidemiological data, which I think is also important, and no one else seems to be doing it. We need more workers! INTERPRETATION OF HIV SEROLOGIC TEST RESULTS…. An essential part of the testing process takes place even before testing is done; that is, the estimation of the probability of infection (the “pre-test” probability). This is necessary in order to interpret a test result appropriately, whatever the purpose—whether it is clinical, counseling or research—and can dramatically impact the predictive value after testing (or “post-test” probability). “HIV” tests are therefore something of a self-fulfilling prophecy. The quotation that you give us points to an out-right manipulation of a laboratory test and I am really surprised that the mainstream is shooting itself in a foot by publishing things like these. Surely they have no idea how ridiculous this is! For what I know, however, the extent of such practice is limited as, for example, many laboratories (at least in Europe) do not collect any personal information prior to a test and give you a result that indicates positive or negative or gives you a quantitative result and the threshold above which you are deemed to be ‘positive’. In fact the very existence and meaning of this threshold and the individual readings is what triggered my suspicion when I knew nothing about the mainstream or dissident view on the whole HIV/AIDS. For what I know, in the US the labs rarely report a quantitative result on the antibody test so many more people may be led to believe that this is a truly positive/negative type of a test. It is not! It is about being below or above the threshold set arbitrarily by Gallo and his subsequent followers (Roberto Giraldo’s dilution exercise essentially boils down to this). The point that I was trying to make in my earlier post is more general: by arbitrarily setting a cut-off for a test reading so as to maximise the share of positive readings for ‘AIDS patients’ (that also back then happened to have many other things in common such as certain lifestyles or drug addiction) you are also automatically picking up those individuals that share the lifestyle but have nothing to do with AIDS (such as the minorities that you are talking about). So one does not need a subjective judgement of pre-test probability for the, otherwise seemingly objective, laboratory test to be biased against certain groups of individuals (sexual orientation, race, haemophiliac, drug user etc.) in a way that is not related to any risk of them being infected with any virus!! The most beautiful fact is that this is explained very clearly (no technical expertise required) in the patent application by Gallo himself! When my closest friend was diagnosed as ‘HIV positive’, they did it on a presumptive diagnosis of AIDS because a) he named me as ‘next of kin’ [I lived with him and accompanied him to the hospital], b) they then asked if he was gay [which he has always had a policy of affirming when asked], c) he had pneumonia [and because of a) and b) they made a presumptive diagnosis of PCP, despite all the other symptoms e.g. oxygen saturation, pointing to normal pneumonia, which is what he had]. Subsequently they did a HIV test which came back positive – this was presented as an absolute certainty, with no margin for error. Indeed, in my experience in the UK they will not do a HIV test until one’s given them some reason for why one might need it. In the light of all this, I’ve had no doubt that bias enters into the determination of what constitutes a positive result, and into the very selection of people for testing. I’m grateful for this reference to Weiss and Stanley, as prior to this I did not have proof that bias was a fundamental part of the testing process. I’d heard of Giraldo’s claim that at certain levels of dilution everyone will test positive. Excellent essay, and an enlightening bunch of comments. Thanks! Umber wrote: I think that this mainstream paper is very interesting, showing that a lot of positive tests are wrong. Does that imply that some (or many) of the positive tests were right? I don’t think so. Since none of the tests (ELISA was mentioned in the above paper) have been validated, there is no way to know if the tests are any good (all of them). Interesting that the paper above said that 7 people learning of their “positive” result committed suicide. Every single person involved in the administration of the so-called HIV tests should be thrown in jail and given the “cocktail” of protease inhibitors and nucleoside analogues. You’re right, Martin. Simply, I find it hard to properly translate what I think in English. In fact, this text shows that the test result depends on the prevalence of seropositivity in the group to which the person belongs. Thus, a test done by a person not being (so-called) at risk, over 50% chance of being wrong, even with a sensitivity of 99.9%. This shows the futility of these tests, which claim to be characteristic of the presence or absence of a virus — test white / black — then it is only the translation of a protein imbalance. In the “materials and methods” section, he clearly defines the cut-off and how much higher the test result needs to be than the cut-off for the test to be called “positive”. So if you follow their logic, for a cut-off 1, a test giving a score of 0.9 is negative, a test giving a score of 1.1 will be positive. How do they know that the proteins of the first test are different from those of the second test? In fact, they did not even pose the question. That is pretty incredible. They do not realize that these tests are more representative of a metabolic disease such as diabetes, with an area of normality, and confuse the quantitative (the cut-off) and the qualitative (black or white). I posed the problem to an official of a laboratory for medical analysis, who said : but the cut-off was determined as the test CRP (C-reactive protein). I told him there is for a test of normality zone, and therefore said that the HIV test was in fact the same type. He was completely overturned. Obviously, if we consider this test as having a continuity on both sides of cut-off — which is logical in the chemicophysical sense — we can better understand the existence of these so-called “false positives”. I think this is the best angle of attack: ask them for evidence that the proteins found below the cut-off are different from those found above. And reject thier perpetually circular arguments. There is no a priori evidence of what they say. There is a difference between what Dr. Duesberg proposed, i.e. to test his hypothesis (drug-induced sickness and the observation that AIDS is not a contagious phenomenon) and using an unvalidated test to in effect force people into a treatment death-sentence. But you are correct, that my statement was hyperbole. Most people administering the “test” are under the belief that they are really practicing medicine. They are just doing their job. They are just following orders. Isn’t that what they (the Nazis) said at the Nuremberg trials? To those who are blindly following the AIDS establishment — Duesberg is a dangerous person — like telling people that AIDS is not caused by a contagious retrovirus. I have met many gay people in Boston who believe very sincerely and unquestioningly that HIV causes AIDS and that AIDS denialists are the enemy. The medicinal knowledge they have on AIDS is through the establishment not through their own independent investigation. They sincerely believe their doctors who also unquestioningly go with the HIV paradigm. So there we are. I guess I am as frustrated with this situation as any dissenter is. I’m probaby as frustrated as you, though perhaps along somewhat different directions: basically that improving the level of critical thinking seems so impossible a task, and also that no one has solved the problem of finding institutional arrangements that bring out the best rather than the worst in us. 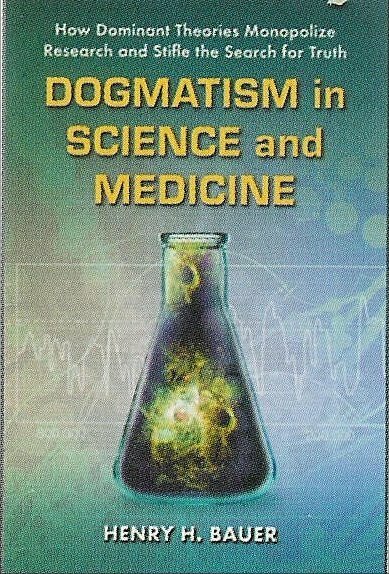 Some who go into medicine or science for idealistic reasons then find themselves in a system so full of conflicts of interest and practical constraints that they lapse into behavior which they would never freely choose, and which they don’t think about in that way, safeguarded from it by the psychological mechanisms we all have for just that purpose: cognitive dissonance, not seeing what we don’t want to see, etc. One of the most chilling remarks ever made to me in this connection was from a close friend who had survived WWII in concentration camps: he said that the camp guards were just like other people, some were quite nice people and some weren’t. Another friend’s life was saved by a concentration-camp guard: as a baby he had fallen ill, and the guard carried him, on foot, for miles to the nearest hospital. I suppose it’s that sort of thing that makes me try continually to keep substantive discussions of medical facts and scientific evidence quite separate from considering who the people are taking various points of view and doing various things. They really are separate, one is an intellectual exercise and the other is an exercise in human psychology, human behavior, politics, criminology. Unfortunately, so many HIV/AIDS vigilantes practice almost nothing but ad hominem rhetoric, and it’s hard to resist the automatic reaction to hit back the same way. Henry, just wanted to say that I ordered the book after reading the PDF of your contribution. The book is actually much larger than I anticipated, and is beautifully produced. Interestingly enough, the editor notes that following the first edition of the book he was inactive for the best part of a decade, due to his (life-threatening) reaction to a toxic mould growing in his home. One of the most articulate lay AIDS Dissidents (Gos) I’ve come across only came into this arena because he had been told he had AIDS-like symptoms (only with massive CD4 counts). His problems were caused by his body’s response to the toxicities of mould growing in his home. Gos doesn’t have a website that is specifically about himself, but there are references to his condition in this debate he had with a junior scientist: http://www.nerosopeningact.com/AIDSDebate/Sidebar5.htm . My closest friend with an AIDS diagnosis has also been extremely sensitive to mould all his life, and exposure to it makes him very sick. I would like to point out that Positive Predictive Value also seems to be a circularity, since how can you know what the prevalence of HIV is in a population or social group with any certainty, when the tests used to establish that prevalence have never been validated? Using an earlier set of invalid tests to establish the likelihood that a person testing positive on a later invalid test is actually positive, seems a bit dubious. So, asking a woman if she’s a prostitute (or just assuming she is because of the way she’s dressed, or knowing she is, because maybe the prostitutes were rounded up and gang-tested by CDC or UN-funded AIDS scientists), and using that information to interpret her test as positive when a non-prostitute with the same test would be called negative, seems like a pretty basic attack on human rights (if you accept that there’s more to “human rights” than just the freedom to practice some silly religion — seemingly the only human rights issue the media ever mentions). Also, as far as the cutoff is concerned, maybe it’s too technical for me to understand, but why should a negative person have any reaction at all? I thought you either have the virus or you don’t? It’s supposed to be black-and-white, yet the tests apparently regard it as all shades of grey. As far as prison sentences go, I’m afraid that if we don’t grant them all a blanket amnesty, then there will be no ending of this fraud, because the people perpetrating it, most guiltily the mass media, have the power to end it or continue it as they wish. To have even the smallest chance of persuading them, you will have to promise them immunity from prosecution and no seizure of their ill-gotten gains for re-distribution to their victims.